Ant Eddies-Davies is the founder of Live the Adventure and one of the most experienced people in the world at guiding and training – teaching everyone from the emergency service to international defence forces. Ant has forged lifelong relationships with communities across the world to ensure every trip we run is unrivalled. When you book your trip with Live the Adventure you’re not booking with a faceless organisation, or a call centre. You’re dealing with the undisputed kings of adventure travel from day one. From the friendly voice at the end of the phone to the guides and expedition leaders who man our incredible itineraries, each and every one of us has huge amounts of on-the-ground experience in the countries we travel to. Knowing our territories inside-out is what enables us to offer adventure holidays that no other operator can match. Our relationships fostered over decades guarantee that your holiday with us is unsurpassed. Our entire operation is led by Ant Eddies-Davies, the founder and backbone of Live The Adventure. Ant is one of the leading figures in the world of adventure travel and it’s his wealth of experience in this industry which helps set us apart from the also-rans. Working with agencies and organisations all over the world, Ant is the go-to man when it comes to adventure training and travel. Guiding you safely through the mountains and rivers is of paramount importance so it’s fair to say you’ll never be in safer hands. Starting his career at the age of 18 as the youngest UK Senior Instructor in kayaking then going on to summit his first Himalayan peaks when he was 21, he has spent the last 25 years coaching everything from paddle sport to climbing, mountaineering to power boating, mountain biking to mountain boarding, right through to currently working as a rescue trainer to the UK emergency services. In fact he’s pretty much tried his hand at everything, diving, paragliding, parachuting, wakeboarding…..the list goes on. However, all of this emanates from Anthony’s love of adventure, and it’s this passion which he passes on to all our travellers. Indeed, he passes that energy and enthusiasm onto the rest of the team, who are all at the cutting edge of the adventure travel industry. In recent years Ant has specialised in directing international training courses and programmes around the world. 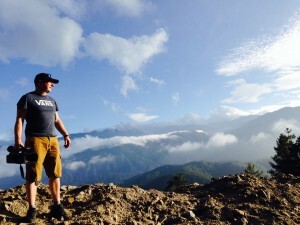 This includes The Outdoor Instructor Academy in the UK, International guide training in Nepal and he is the sole licensed training provider for Rescue 3 International in Bhutan. He is currently employed as a training consultant to tourism boards and travel operators and advises on adventure tourism and travel with a wealth of knowledge and experience as an operator, guide and trainer. If your idea of adventure travel is sat at the back of a coach then Live The Adventure is not for you. Adventure is not just in our name, it’s in our blood. But it doesn’t have to mean ‘extreme’…we have adventures for everyone, from 5 to 105! Whether this is your first adventure travel experience or you are a seasoned traveller, Live the Adventure offers a full range of programmes and itineraries to suit all ages and abilities. And we mean that! We’ve had children, adults and pensioners on our travel trips over the years and long may that continue. What we are exceptional at is ensuring that each trip is suitable – providing the right level of thrill and adventure combined with breathtaking vistas and some cultural highlights. We know you want to immerse yourself in the country but we also know you don’t want to see that from the back of a tour bus. Adventure is in our blood, so whether you’re looking for a multi activity adventure, a raft trip through the heart of a mystical land or the chance to summit a Himalayan peak, we can help. 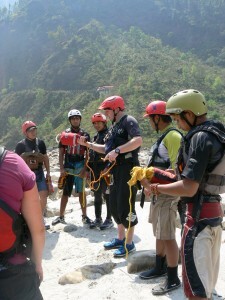 Experience is key and you will have read elsewhere about our expertise in adventure travel. We can’t overstate this enough because would you really want to head off to Nepal with a travel company who only knows the same routes as everyone else? We wouldn’t, that’s why we’ve spent years researching the places that other operators cannot reach! In tandem with our representatives in-country, a trip with Live the Adventure is like no other. 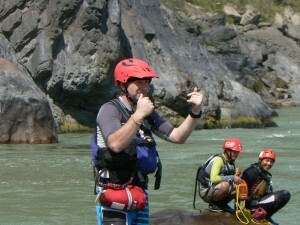 We have graded our trips to give you a rough guide as to the levels of stamina and fitness required but we also provide training opportunities before you go out, so if you’ve never been in a kayak before there’s no need to worry – we’ll get you up and running so you can see places such as Bhutan and Nepal like never before. Each of our hand-picked trips will give you chances to see each country at its best – away from the beaten track. Trips to Nepal offer the chance to go on elephant safaris and white water rafting, while if you got to Bhutan you can seek out snow leopards or take part in the world’s toughest bike race. Our hugely successful trips to Sweden combine kayaking off the coast with a sea food tour, while we also offer river rafting and canoeing in the Grand Canyon if the US is on your bucket list. It really doesn’t get more exciting that this! How fit and adventurous do I have to be? We understand that each trip is different and so are you! For this reason we want you to choose an adventure with us that suits you, from those wanting their first adventure travel experience to those that are after the ultimate adventure challenge. ‘Adventure’ – We have graded each trip based on the level of adventure to assist you in choosing a trip within your comfort zone. 1 Is for those wanting a sample of adventure and the lower grades are ideally suited your those looking for their first adventure holiday experience, where as 5 is the ultimate in adventure, remoteness and adrenaline fuelled activity. ‘Fitness’ – Is to guide you on the level of personal fitness required for the trip and the level of exertion that may be required with 1 being very little, through to 5 being for those that thrive on the ultimate physical challenges. This rating is just a guide and we always recommend regardless of rating that the better prepared you are, the more enjoyable the travel experience. ‘Culture’ – due to the unique parts of the world we travel to, its essential to build into each itinerary an opportunity to experience the wealth of culture in each country by spending time immersing yourself in the local traditions, stunning sites and the wonderful people that live there. For each itinerary we have graded the balance of culture from 1 being an introduction to 5 being a full cultural experience. We understand that the above is a guide only, so feel free to call and speak to us directly for advice and assistance in choosing your ideal adventure holiday. We have worked hard over years to build lasting relationships with all the communities we travel to. Whether it’s providing state-of-the-art kit and equipment or up-to-date training and techniques for their guides and emergency services, Live The Adventure is proud to give something back. We have worked closely with the Bhutanese government and Royal family to help bring sustainable tourism to this magical kingdom and we launched a £25,000 appeal dedicated to rebuilding lives shattered by the Nepalese earthquake in May 2015. 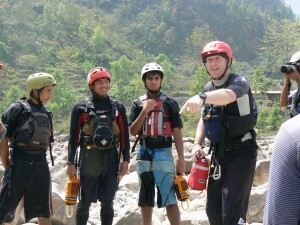 On an ongoing basis, Ant Eddies-Davies gives his time for free to train local river guides in Nepal in first aid and water rescue to internationally recognised standards. Live the Adventure has a dedicated flight account manager at STA Travel who understands the intricacies of our travel itineraries. If you complete the form below it will be sent to STA Travel and also to Live the Adventure. If you would prefer to talk through any details with Live the Adventure first i.e. before completing the STA Travel Flight Enquiry Form below, please call us on 01746 718 436. We are very happy to talk through and recommend arrival and departure scenarios to fit in with your choosen travel itineraries, as well as different flight options and stop overs before you confirm or book your international flights and help make your flight booking process as smooth and as hassle free as possible. Live the adventure customers often discover that one of the biggest costs when preparing for their trip abroad are their flights. To help overcome this, Live the adventure has partnered with STA Travel to create flight itineraries especially for you. STA Travel’s mission is to open up the world to eager, enthusiastic, exploratory travellers and as the world’s largest travel company for students and young adults are committed to helping you travel with a purpose at an affordable price. The Package Travel Regulations 1992 require us to provide security for the monies that you pay for the package holidays booked from Live the Adventure and for your repatriation in the unlikely event of our insolvency. In accordance with “The Package Travel, Package Holidays and Package Tours Regulations 1992″ all passengers booking with Live the Adventure are fully protected for the initial deposit and subsequently the balance of all monies paid to us, including repatriation if required, arising from cancellation or curtailment of your travel arrangements due to the insolvency of Live the Adventure. This insurance is only valid for packages booked that DO NOT include flights. What about ATOL & ABTA? Live the Adventure is not a member of ABTA, nor do we hold an ATOL license. An ATOL license is only relevant to companies that sell flights. Live the Adventure do not provide this service. Any flights arrranged for our customers can be done so through STA Travel who are ATOL bonded. STA Travel flights are protected by the Civil Aviation Authority (no. 3206). If you are abroad with your party and an airline fails, STA Travel’s ATOL bonding ensures that we will get you home as quickly as possible. 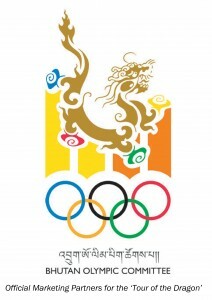 The IATA logo also means that STA Travel is allowed to issue tickets on behalf of scheduled airlines. 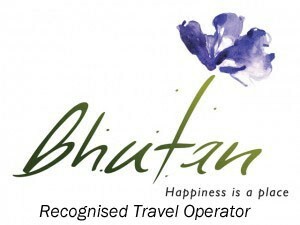 Please visit STA Travel’s website for more information. ABTA, Association of British Travel Agents, is a trade organisation primarily for retail travel agents. Live the Adventure is not a travel agent. As a tour operator Live the Adventure does not fall within the ABTA umbrella. Live the Adventure is a perfect case study for journalists looking for innovate & interesting travel stories to write about. Coverage for our trips includes The Discovery Channel, National Geographic, The Cyclist Magazine, The Telegraph, The Sun, The Metro, Canoe & Kayak UK and The Huffington Post.